If you’ve been searching for a small car that can offer you the driving capabilities you need and the design that makes it an impressive little Italian model, the Fiat 500c can be the right choice for you. This car is offered in both coupe and cabriolet models that are built to allow you to have a car that can fit your needs and be a model you’ll love to drive. You’ll admire the pricing offered for this car when it’s time to drive out on the roads around Oakland Park, FL. There is still a large market for subcompact cars that have a strong and impressive personality and the Fiat 500c is one of the leaders in this market. There are fifteen different color choices you can make to go along with the coupe or cabriolet choices you can make. There is also a new options menu for this car to make it one you can personalize when you see the team at Massey Yardley Chrysler Dodge Jeep Ram Fiat in Plantation, FL where you’ll find the pricing you want to enjoy the drive on the roads around Oakland Park, FL. The Fiat 500c has been simplified in the number of trims you can choose from and the pricing you’ll find for the ride you want to make on the roads around Oakland Park, FL. This car is now offered in only three trims which are Pop, Lounge, and Abarth. Most of the options have been put into packages that can be ordered on any trim to make sure you can have the car you want to drive. The convertible model is one you can have on any trim as well to experience the fun you’re looking for on the road. If you choose the Abarth trim of the Fiat 500c you’re going to be able to have a fun and active driving machine that gives you more of what you want. This is the trim that has an upgraded engine to offer more power and the sportier suspension and appearance to give you the active fun you want. Choose this version and enjoy the affordable pricing and the active drive that can be right for you out on the roads around Oakland Park, FL. This is a car that will receive the attention you deserve and allow you to love what you drive. Driving a small car is something that can be fun for you and give you the experience you desire on the road. Take a look at the Fiat 500c and make it the right choice for your drive on a daily basis. 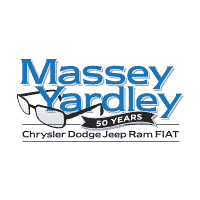 This car is offered with affordable pricing at Massey Yardley Chrysler Dodge Jeep Ram Fiat in Plantation, FL so that you can have the experience you want and drive the small car with the big personality on the roads around Oakland Park, FL on a daily basis.